This engine was originally designed by General Motors as a thoroughbred racing engine. Its purpose was to prove the reliability and power potential of their production in-line 6-cylinder engines used in various truck and SUV platforms. Dubbed the 'L6', this engine powered the winning trucks at Pike's Peak and in Off-Road desert racing. This engine shares no components with, and bares little resemblance to the production engine. 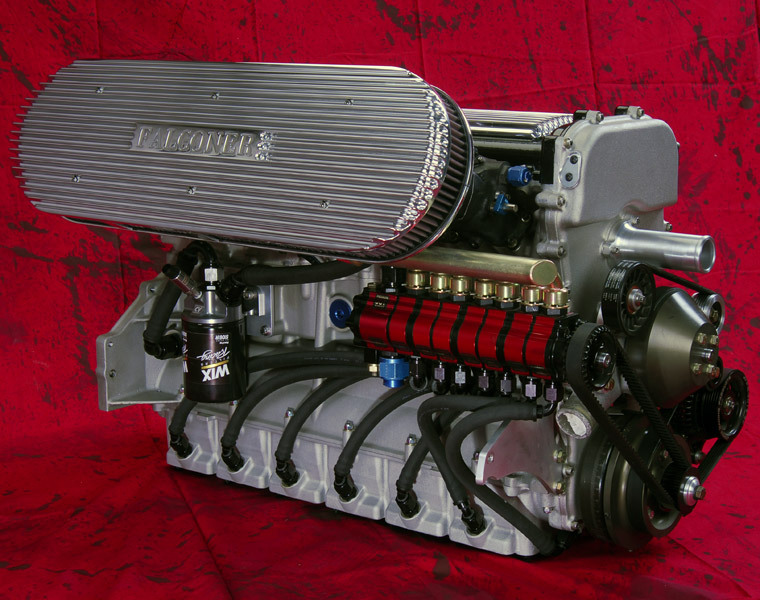 Ryan Falconer Racing Engines now owns this unique powerplant and will be manufacturing it in limited quantities for a variety of applications. You can also check out the Falconer L6 Photo Galleries. Select from the links at the top of the page to view all of the Falconer L6 configurations and to learn more about the engine itself.